Wow this horse is amazing. Okay what did I think about this movie well I can say that it is the best movie of 2011, just a great film with a good score. Steven Spielberg, yet again, proves to be one of the best directors and story tellers of our time. Only he could take a story about the relationship between a horse and his boy and turn it into a heart warming adventure. 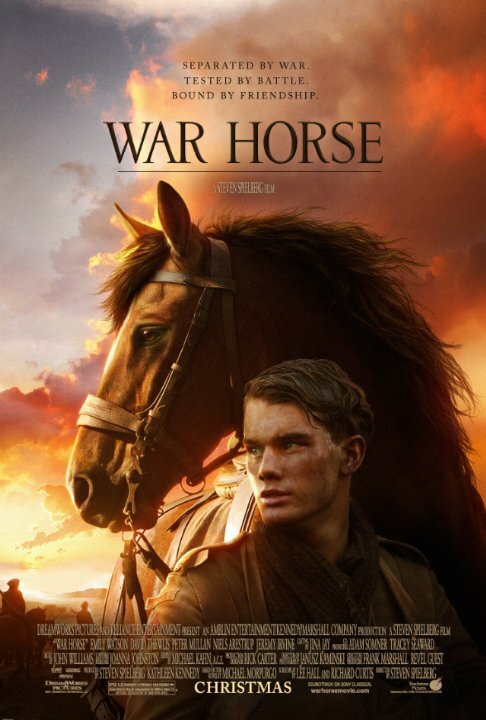 The character development is arguably the best thing about the film; War Horse has many different characters, some only in the movie for a few scenes, but almost immediately their roles in the grand story are seen. The cinematography is gorgeous and the score sweeping. It's one of the best films of 2011. This is a pleasant family film in which every member of the family will find a piece they'll love most . The kids can dream about the adventurous part and the bond of friendship between a person and an animal . The women will be sobbing with all the sentimental and gooey stuff in this film while their handkerchief will get moister as the end nears . The tougher men of the family can set up for some authentic WWI footage. Unsurprisingly for Spielberg, the movie was beautiful - the scenery, the animal(s) and the story without any gore and blood usual for such movies. 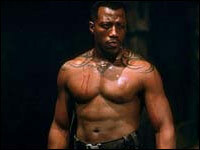 But I couldn't care less for human characters as not a single one was long enough present on the screen. Maybe something was wrong with the script, when it couldn't make me feel something for the people in the movie. I certainly did care for the horse - the depiction of his sufferings was almost unendurable - so I expected more at the end of the movie, more emotions, more... something. Like Spielberg was told to be moderate in his outbursts of affection, but this is a wrong kind of movies to apply such advice. Lassie Come-Home wouldn't be so good family movie had we been to its characters so...indifferent. Looks like it comes out next week. Haven't seen much on it. I know it premiered to good reviews but I don't have any hope for it. This trailer could be one of the dumbest trailer I have ever seen. Looks like another Lassie/Marley and Me/Seabiscuit/Secretariat movie. You must have to love animals with all of your heart to enjoy this movie. To me, it looks pitiful, but hopefully I am surprised.